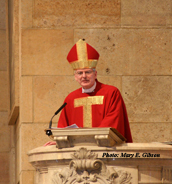 By calling the reader to embrace the cardinal virtues of temperance, justice, prudence and fortitude, Return to Order suggests a practical pathway to avoid the economic and spiritual crises that are looming before us and, by means of religious conversion, reestablish a right order for human flourishing. I hope that this work will receive the attention it so deserves. 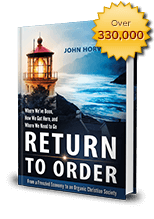 This entry was posted in Featured and tagged debt, financial speculation, frenetic intemperance, Praise for Return to Order by John Horvat II. Bookmark the permalink.